Manav Rachna University Admission 2019 Result has been Declared on 23rd April 2019. 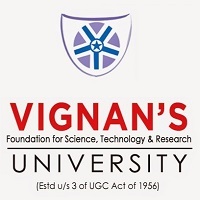 Manav Rachna University Admission 2019 will be conducted to offer admission into various UG, PG & Doctoral degree courses. It is done by the university itself. This university will give the courses in the field of Engineering, Law, Applied science, Management & Humanities. Education and Ph.D. Applicants can get registered in different programs. Applicants will get admission on the basis of national level entrance exams and MRNAT. Applicants can get full information on Manav Rachna University 2019 registration along with some other important information will be given below. Manav Rachna University Admission 2019 Result has been Declared on 23rd April 2019. Click Here to Check Result Details. In this table, candidates can check the complete schedule to apply for the various UG & PG courses. 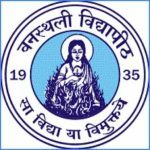 Manav Rachna University 2019 Result has been Declared on 23rd April 2019. The same seats are full on the basis of the passing marks. Applicants can check their ranks in the merit list by seeing the university website. The merit list will be published after the entrance exams. Applicants are chosen on the basis of the GD.P\PI. Applicants will have to be present to come to counseling. 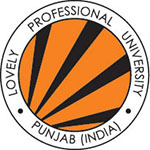 It is important to come for counseling to get registered into this university. The admission committee told that the seats according to the availability of the applicants in the merit list. Applicants will have to pay the fee directly. Mark sheet of this examination. 5 passport size photograph coloured. NRI/Foreign National/PIO Seats:15% seats are reserved in all programmes/course. General Seats:85% seats are reserved among which 25% seats are reserved for Haryana domicile candidates, of which 10% seats are reserved for SC candidate of Haryana state. Kashmiri Migrants:1 seat in merit quota for all programmes. An application gets registered by doing an aptitude and GD &PI. After the seats have been given in the counseling round, applicants will have to report to the admission authority. The authority will verify the applicant’s original document and will collect the admission fee. Applicants will have to pay the fee at the time of registration. If any case the applicants fails to give the original documents, their admission will be canceled on the spot. Applicants will have to fill the form on the official website itself. Manav Rachna University Admission 2019 Registration has been Started Now. 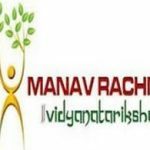 Manav Rachna University 2019 Registration can be Done till 17th April 2019. The final date for submission is different for UG & PG. Applicants will have to scan their photographs of a maximum size of 80KB. Begin all the information accurately and do not leave any blank space with Asterisks sign. The online application number will be on the screen after successfully given the online form then you should make the online payment. Applicants must take two printouts of the full given application form to give it on that day of counseling. The application fee will be Rs. 1200/-. The fee can be deposit through online mode (Credit/Debit Card). The scratch card can be purchased from the University Counter/designated City Office. Applicants must pass 10+2 from any well-known board. It is important to get 60% scores in the following examination for any field of engineering. Physics, Chemistry, and English are important subjects to have in the last year examination scores. Applicants should the 12th board’s examination from a well-known school. Applicants must get 50% score in the passing examination. Applicants must have a bachelor’s degree in the same field from a well-known university. Applicants must have 50% score in the examination. Applicants who have been chosen for registration in the university will be on the basis of a different national level exam. And for exams, it will be done by the university. Keen applicants will have to fill the form and sit in for counseling. The seats are given as per the merit list of the applicants and different other forms. MRNAT is done for different a course which is given by the Manav Rachna University. This exam will be held on 20th & 21st April 2019. The exam is done in online mode. For applicants who are sitting for the examination, will have to download the hall ticks from the official website. Applicants who will pass the exam will be eligible for registration. For any other queries about Manav Rachna University Admission 2019, you can leave your queries below in the comment box.